Dr. Macy is an expert change agent. Understanding how optimized relationships catalyze organizational potential has been a large part of her life’s work. She was appointed by President Ronald Reagan to The President’s Committee on Mental Retardation and received the Outstanding Individual Service Award from the National Association of Developmental Disabilities Council. She’s also an expert in Jungian thought and analysis which lead her to becoming a Reiki Master and authority on theoretical physicist David Bohm’s process of Dialogue as a catalyst for societal change. 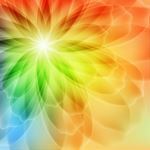 She’s a researcher, storyteller, and energy medicine practitioner who will discuss how Bohm’s Dialogue can evolve a client-practitioner relationship such that energized attunement sets the stage for deep change and spiritualized healing.